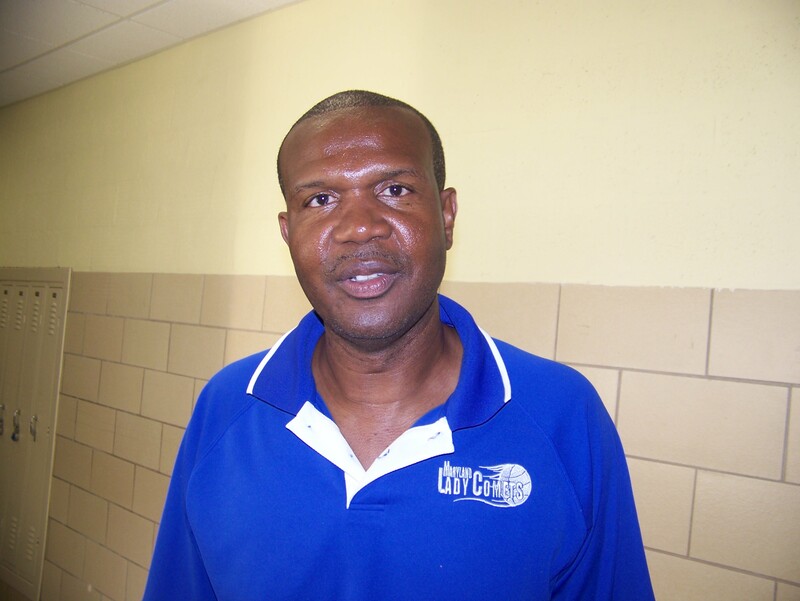 Mike Dukes is a long time veteran of the Maryland AAU circuit and former head coach at Towson Catholic. 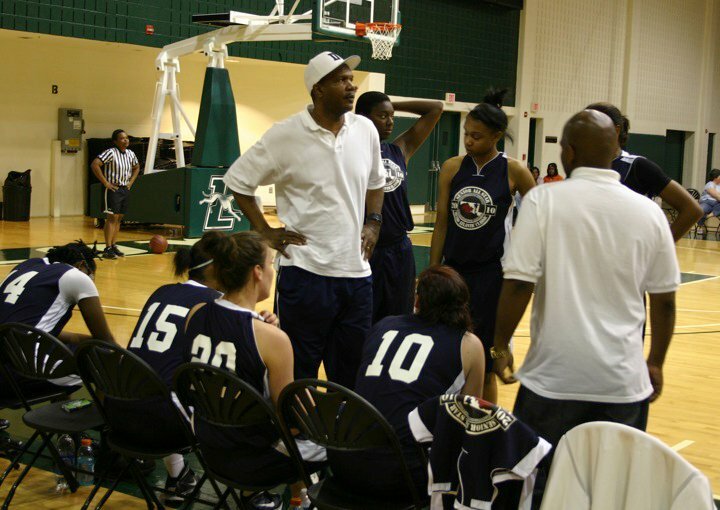 As the vice president of the Maryland Lady Comets, and coach of their 14U group he has seen a few things over the years. We discussed a few of them recently. 695: Tell me about your playing career and your coaching career. Who have you coached with and when you got started. Coach: I played at Southern High in the late 70's [ was an ALL Met selection.] Went on to play at Towson State where I was co captain my junior and senior years. I started out coaching boys in the BNBL(Baltimore Neighborhood Basketball League) and then I started with the Comets. Coach: I didn't pattern my style from any one individual. I sort of picked things up from observing and working with a number of different coaches. I coached my daughter Chelsea for many years so it was really important to be objective and fair. 695: What do you think about the overall direction of girls basketball in the area? Coach: I think it's pretty impressive. The interest is great but I am concerned with the some of the parents. It seems to be more about them these days. 695: How do you think the new NCAA residency rules will impact the DMV area? Coach: I don't think it will have a big impact because girls are constantly moving from team to team anyway. 695. How do you set up your Spring/Summer schedule? Coach: At this time I have to schedule a little bit differently than what I was doing with the 1992 group. I'll bring this group along a little slower but I have always like the Penn State event. It's a nice exposure event for east coast colleges and most of our girls will stay on the east coast. 695: A lot of club/AAU teams are skipping the MD AAU tournament and playing exclusively in college showcase events. Do you see this trend continuing? Coach: Yes I see this trend continuing. There is less focus on the AAU Nationals and more on showcase events.Teams are not spending the money for AAU, especially the older groups. 695: How do you feel about MD AAU in general? Coach: Well we had a situation where our 92 girls were not allowed to play our championship game because two starters would have missed their proms . We didn't like the fact that the game was re-scheduled at the last minute. We felt both teams could have been acommodated. 695: How do you manage your parents and their expectations of what AAU/Club ball can do for their kids? Coach: I just try to be as honest as possible. When you make promises the parents expect you to deliver so if you're honest you can always sleep at night. 695: What do you think about the WCAC/IAAM all-star event in March? Coach: Great Idea! It's waaaay over due! 695: Do you think the number of club/AAU teams in the area hurts or helps the game? Coach: I would never say hurt when volunteer coaches are giving their time and energy to help kids. The 1992 group is a great example that kids don't have to play on "elite" teams to receive scholarships. 695: Previously the Cougars and Hurricanes were able to put together National level teams from this area. Why do you think there is a void in the area of such teams right now? Coach: Probably due to the increase in teams and the lack of trust amongst parents for area coaches. 695: What do you think of Lebron signing with the Heat and why do you think he's getting such a negative reaction? Coach: I had no problem with Lebron signing with the Heat but I think he should have been up front with Cleveland and their fans. And " The Decision"? Come on.